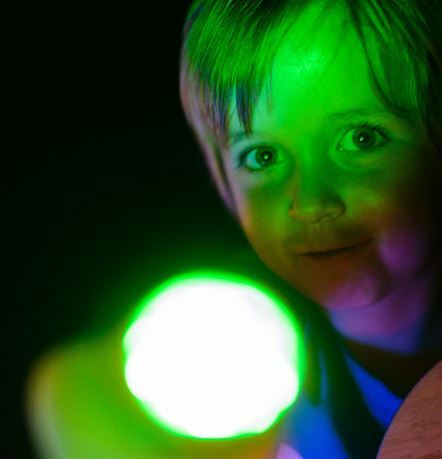 Are you sick of the sight of a mince pie or board game, (or Wii)? Then it’s time to gather the troops, don a bobble hat and get out of the house. Here’s our guide to the best things to do at Tate and beyond in the awkward bit between Christmas and New Year across the UK. 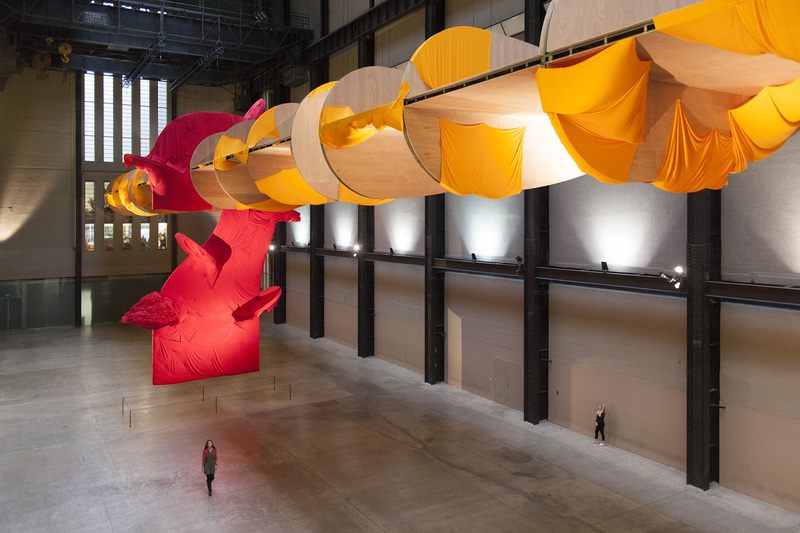 Stand back and admire the colourful billowing sheets that make up the largest work ever created by renowned American sculptor Richard Tuttle. Made specifically for the Turbine Hall, there’s also a chance to make like Tuttle and get hands-on with large-scale 3D weaving at Open Studio for ages 3 and up. You can have a go at home too with Tate Kid’s Textile Tryouts activities and share the families efforts on #textiletryouts. 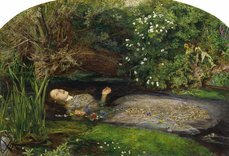 Get to grips with 500 years of British Art with a festive visit to Tate Britain. In a visit to the BP Walk through British Art you can take in Tate Britain’s unparalleled collection from its beginnings to its end, starting with sixteenth century family portraits and a rather spectacularly abundant market scene in room 1540; all the way to Damien Hirst and Fiona Banner, with a few stops at David Hockney, Henry Moore, Barbara Hepworth, the Pre-Raphaelites and Turner along the way. Andy Warhol’s Exploding Plastic Inevitable (1966-67). 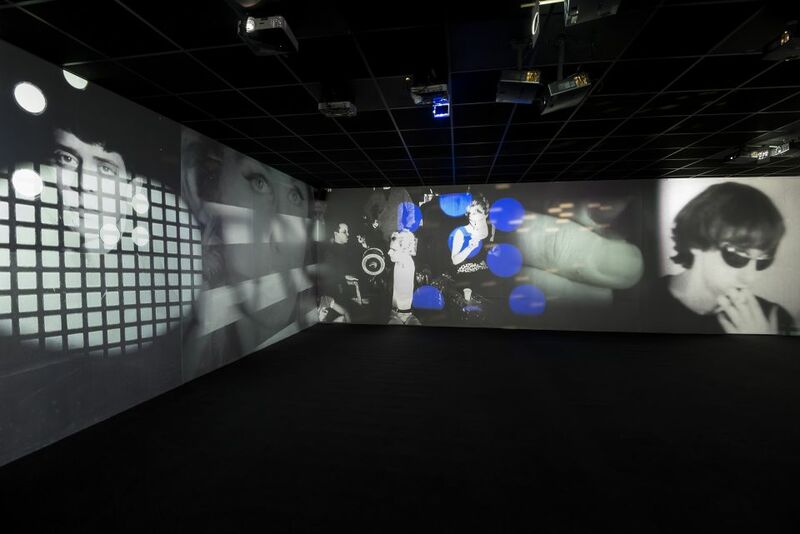 The Andy Warhol Museum presents an evocation of the Warhol’s original expanded cinema and multimedia performance work. Swear you have little Andy Warhol’s in making? Well then, get down to Tate Liverpool for a Warhol winter workshop, where they can really flex their creative muscles without ruining the sofa. Led by artist Harriet Hall, explore the iconic work of pop artist Andy Warhol through the transformation of the family room into a Warhol inspired ‘total art’ environment using colour, light, sound, text and images, or draw your own colourful self-portrait inspired by the celebrity ones in the current exhibition, Transmitting Andy Warhol. 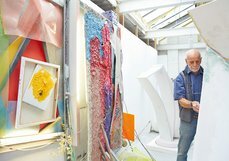 If a display of Philip King’s brilliantly coloured foam PVC and steel sculptures won’t get you out of a post-Christmas slump, then I’m afraid there’s nothing for you. Head down to the expansive central spaces of the Duveen Galleries at Tate Britain and meander around unsettingly organic shapes coated in flesh pink, deep purple and bright pastels, made by the recently turned 80 year-old influenced by Matisse. Feeling a little anxious after so much family time? A guided tour around The EY Exhibition: Late Turner – Painting Set Free might be just the ticket. Soak up the sumptuous scenes J.M.W. Turner created in an extraordinary body of work between 1835 and his death in 1851. From the large-scale oil painting Ancient Rome; Agrippina Landing with the Ashes of Germanicus to the alluring watercolour The Blue Rigi, see just how John Ruskin’s description of Turner as ‘the greatest of the age’ is brought to life. 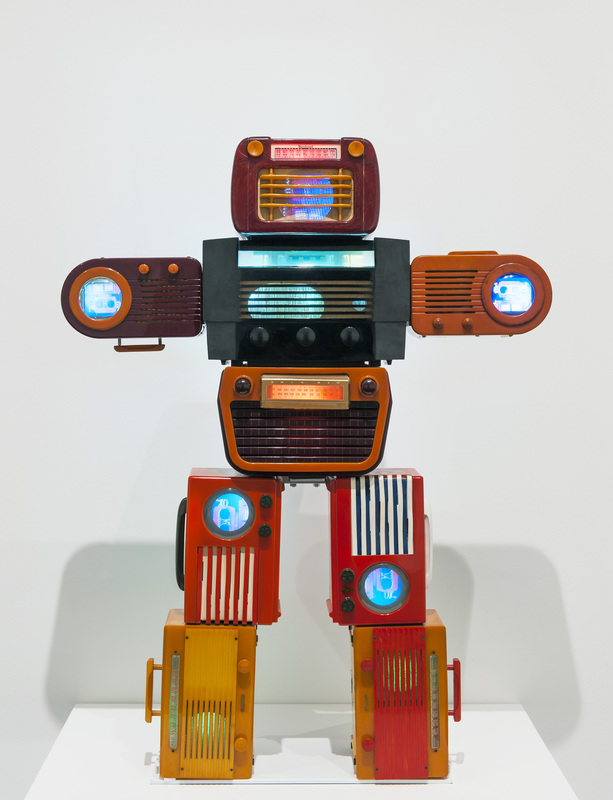 A robot made from bakelite radios right up your street? Then make a date with the Nam June Paik display at Tate Modern. The pioneer of video and media art, fled his homeland of South Korea during the Korean War to study music in Japan and Germany, (where worked with the Fluxus group) followed by a move to New York in 1964. 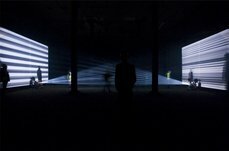 Paik’s use of television as an artistic medium led to his unique style of video art, described both as ‘joyful’ and ‘subversive’. Is a trip to Cornwall on the cards this Christmas? Whether you’re on holiday or live just down the road, if the family clan are getting restless, try a spot of Gallery Quest at Tate St. Ives. 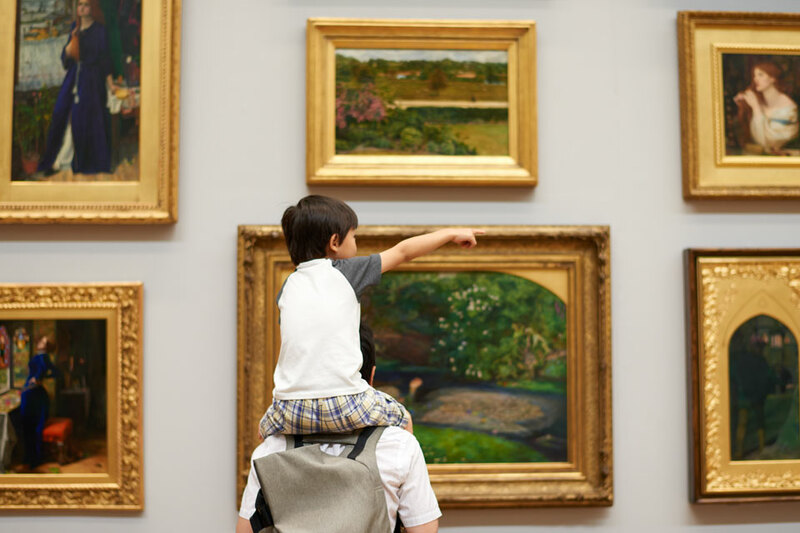 Join the team for some family friendly interactive exploration of the gallery, and take a look at the photography of pioneering artists from across Europe, the Americas and Japan on show at Tate St Ives for the first time in The Modern Lens. 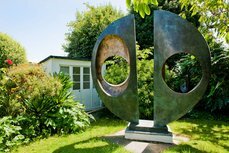 Also in the South West - and nestled within a stunning rural location - the Burton Art Gallery and Museum is the largest purpose built space between Bristol and St Ives on the north coast. Artist Richard Long has strong connections with the area and the exhibition includes a number works made in the landscape through the medium of walking, (an activity synonymous with North Devon) as well as the important sculpture Cornish Slate Ellipse, 2009 - made of cut pieces of slate acquired from the Delabole Slate Company in Cornwall. Due to be in Scotland over the festive break? 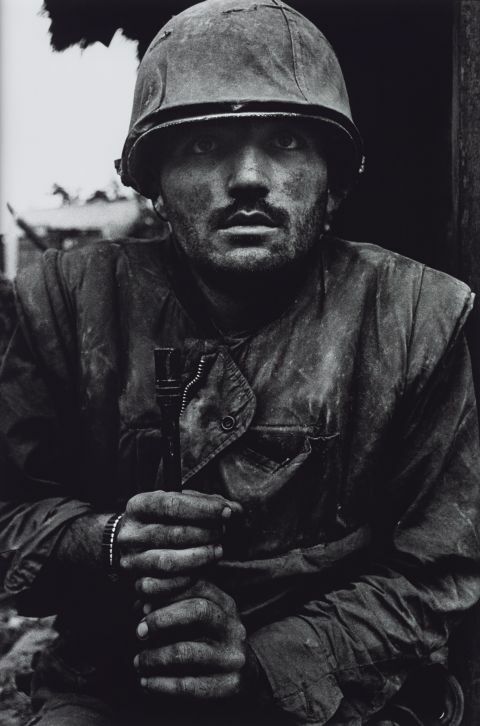 Slot in some time to visit the Shetland Islands, (unless of course, you already live there) and see the first ARTIST ROOMS exhibition of a series of powerful images by photojournalist, Don McCullin. Featuring 44 works taken by him over 20 years of conflict around the world including; Vietnam, Cyprus, Northern Ireland and Beirut; it also includes a number of works from the Tate collection, taken in London. 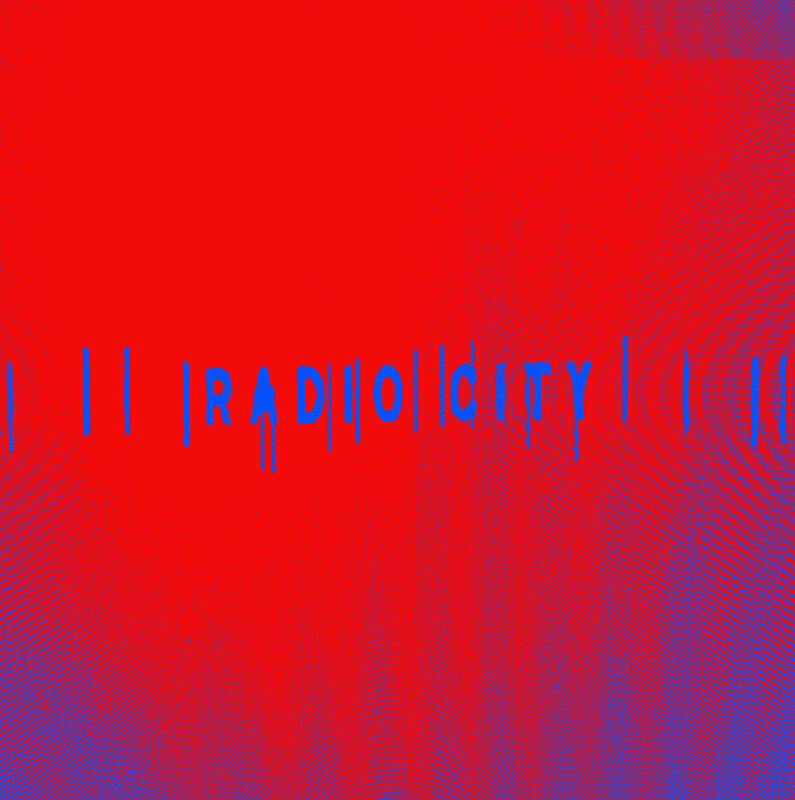 If the idea of experimenting with film, sound and performance takes you to a happy place, then get down to RadioCity at Tate Britain. This special season of participatory radio, sound art, performance and broadcast events is open to all ages and are drop-in. So whether its contributing to the making of a film by a fictional artist, or producing a sonic (sound-inspired) portrait with your favourite artwork, there’s something for everyone. And if leaving the house still feels like too much trouble, there’s always Tate Worlds - Minecraft ‘maps’ inspired by artworks from Tate’s collection - and TateShots, our weekly video magazine of behind-the-scenes artist interviews, both available from the comfort of your laptop. 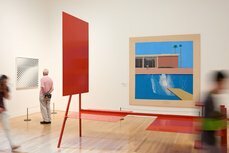 Find out visiting times for Tate Britain, Tate Modern, Tate Liverpool and Tate St Ives.